knife to cut out the circle. 3) Place the pastry circles on a lightly creased or oiled baking tray. 5) In a medium bowl, add the almond meal, granulated stevia, butter and ginger. bounds of the scored circle. 7) Peel and very thinly slice the green apple into wedges. 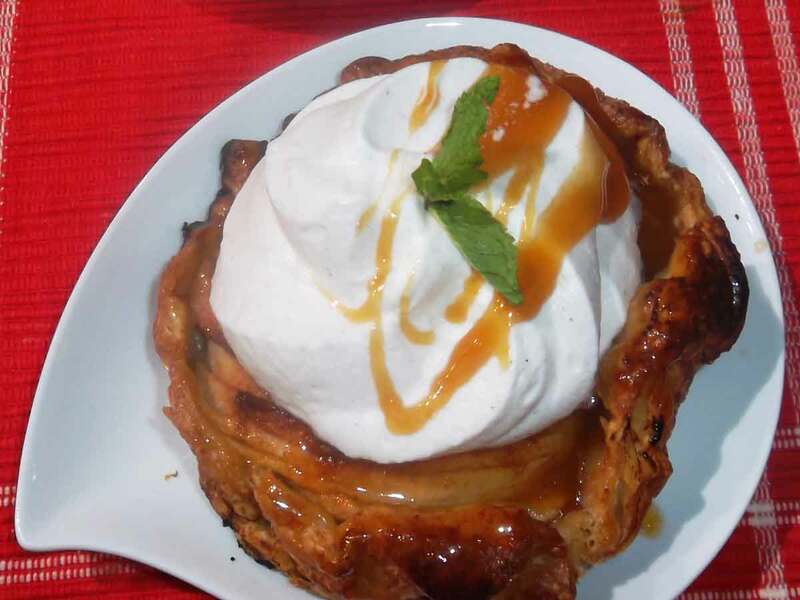 9) Bake in oven at 180 degrees for 20 minutes [350 degrees F], or until the apple and pastry just starts to color. 10) Once they are done, remove from oven and make the glaze. 11) In a jug, mix the apricot jam and rum and using the back of a small spoon spread over. 1) Combine all the ingredients gently together, until just combined. 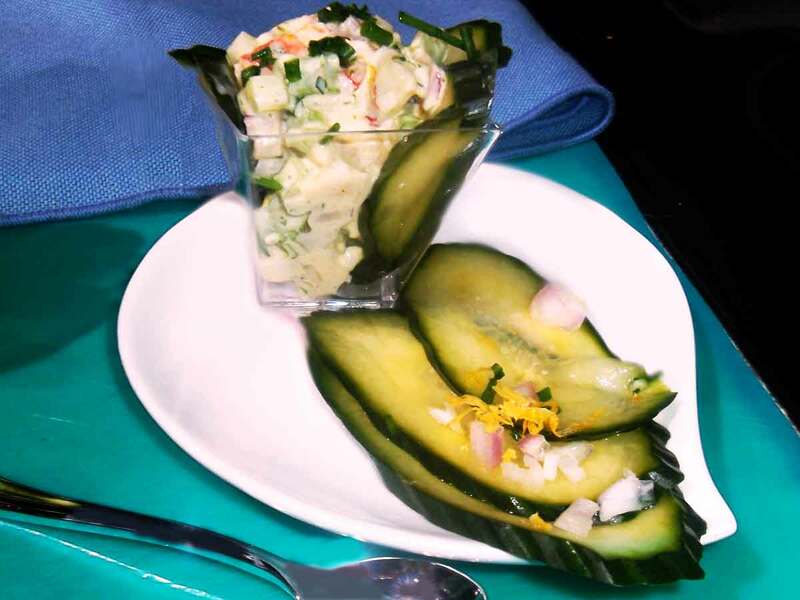 2) Serve in chilled Martini glasses or wrapped in a thin slice of cucumber, garnish with chives and caviar. 1) In a food processor or blender, blend the egg and lemon juice for 10 seconds. 2) With the processor running, slowly pour in the oil through the feed tube and process until emulsified. 3) Add the tarragon, salt, and pepper and pulse to blend. 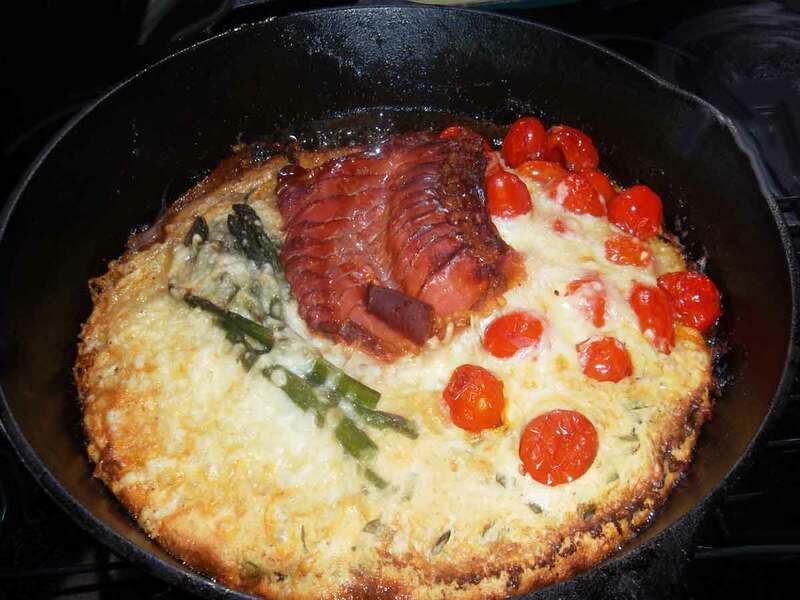 1) Place a medium ovenproof skillet, preferably cast iron, in center of oven and preheat oven to 450°. 2) Let skillet heat at least 25 minutes total (prepare your toppings while you wait). 3) Blend eggs in a blender on high speed until very frothy, about 1 minute. 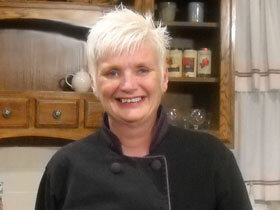 4) With motor running, gradually stream in milk, then 2 tablespoons butter; blend another 30 seconds. 6) Carefully remove skillet from oven and swirl remaining 1 tablespoon butter in skillet to coat. as it comes out. Top as desired. 1) Mix together granola, cherries, and candied ginger. 2) Place yogurt in a large resealable bag, and snip off end. 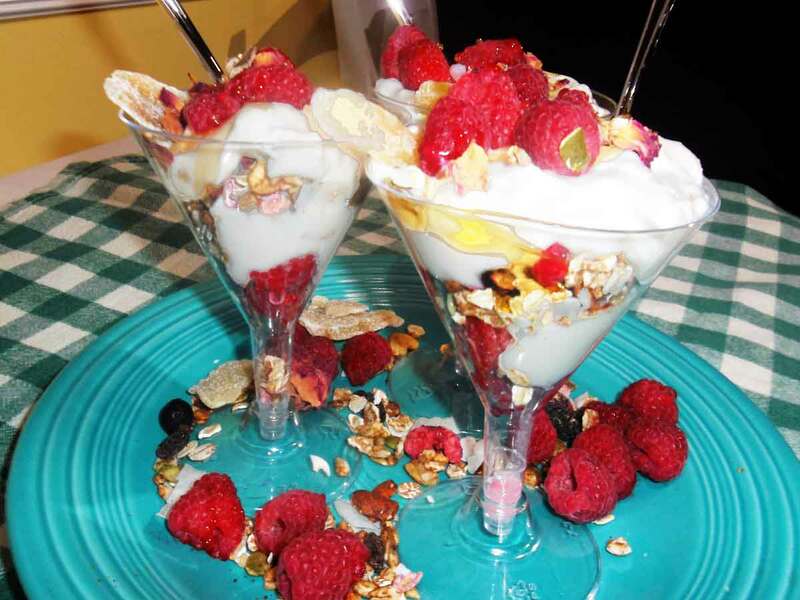 4) Scatter 1 1/2 cups raspberries over yogurt, and drizzle with honey. 5) Sprinkle with 3 cups granola mixture. 6) Repeat layering once, and top with a layer of yogurt. 7) Mound 1 cup raspberries in center. 8) Garnish with thinly sliced candied ginger (optional), and drizzle with honey.